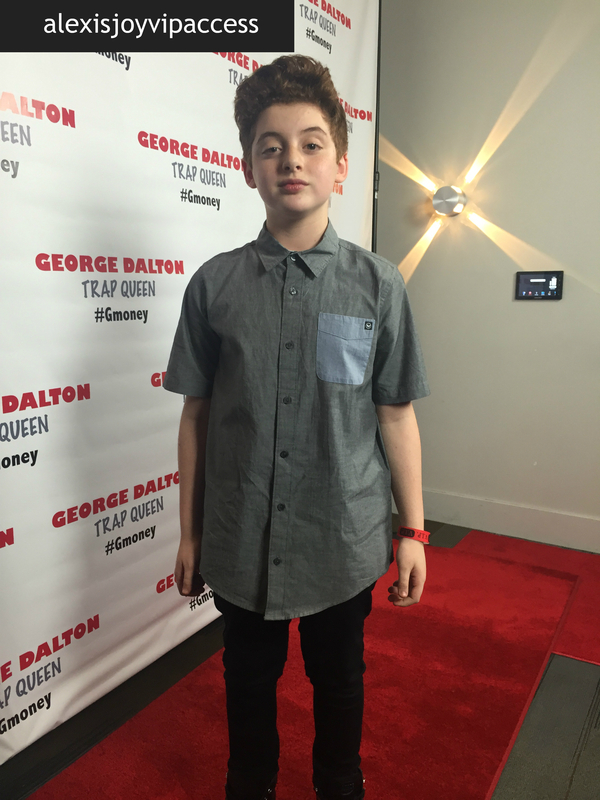 VIPAccessEXCLUSIVE: Thomas Barbusca Interview With Alexisjoyvipaccess At George Dalton’s Music Video Release Party! From Nickelodeon’s “The Thundermans”, to “Grey’s Anatomy” to “Anger Management”, “New Girl”, “Body of Proof” and so much more – all of these shows have something in common in addition to being worldwide, fan-favorite shows. These shows are all shows that the wonderful and magnificently talented, Thomas Barbusca has appeared on! With an incredible list of sensational shows he has acted in, the outstanding Thomas Barbusca has exhibited his versatility with so many remarkable roles. Thomas Barbusca has that excellent charm and charisma that makes him such a pleasure to watch on our TV screens and he continues to show his impressive acting skills in all of his extraordinary projects! Thomas Barbusca has already been a part of so many wonderful projects and with his marvelous talent, Thomas Barbusca will continue to take over the entertainment world! I, Alexisjoyvipaccess had a great time covering George Dalton’s “Trap Queen” music video release party and had an awesome time interviewing the charismatic Thomas Barbusca at the event. The wonderful Thomas Barbusca dishes exclusively to Alexisjoyvipaccess all about which character is his favorite one he has portrayed thus far, what the atmosphere is like working on set of Netflix’s highly-anticipated show, “Wet Hot American Summer: First Day of Camp” and so much more only in our VIPAccessEXCLUSIVE interview below! Thomas Barbusca even spills on what TV show he’d love to guest-star on – find out Thomas Barbusca’s answer only in our VIPAccessEXCLUSIVE interview below! Thanks for the fun interview, Thomas! Check out my VIPAccessEXCLUSIVE interview with the exceptional Thomas Barbusca at George Dalton’s “Trap Queen” music video release party below! Previous VIPAccessEXCLUSIVE: Brandon Tyler Russell Updated Interview With Alexisjoyvipaccess At George Dalton’s Music Video Release Party! Next VIPAccessEXCLUSIVE: “Best Friends Whenever” Stars Matthew And Benjamin Royer Interview With Alexisjoyvipaccess At George Dalton’s Music Video Release Party!